The state Division of Alcoholic Beverage Control is seeking to revoke the liquor license of an Ortley Beach restaurant’s consumption license, charging that there were 13 violations of ABC administrative code. 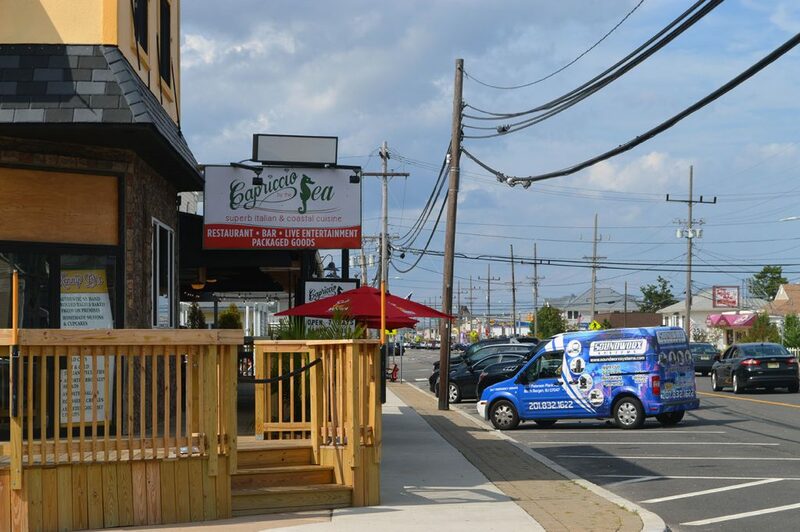 The restaurant, Capriccio by the Sea, straddles the border of Ortley Beach and Lavallette. While most of the property fronts Ortley Beach, a portion of the restaurant is located in Lavallette, where it is licensed. Over the past year, a small but vocal group of residents of a nearby condominium complex have complained about loud music and people’s voices carrying in the late-night hours, prompting Lavallette officials to call for an investigation. On Nov. 19, the ABC sent a letter to the restaurant’s three owners recommending a suspension of the license for 373 days and a full revocation of the license. The move to revoke the license is relatively unusual in New Jersey, where liquor licenses are often valued in the hundreds of thousands of dollars. In two local cases – Martell’s Tiki Bar, in Point Pleasant Beach, and Tiffany’s, in Toms River – the state did not go so far as to recommend revocation even when events led to fatal accidents involving patrons. 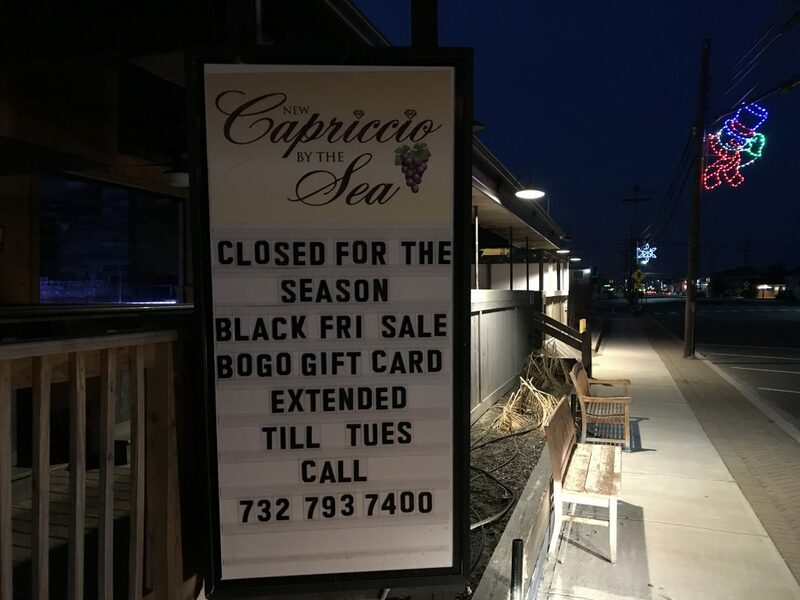 In the case of Capriccio, there were no accidents, crimes nor over-serving of customers alleged, rather, the most serious charge alleges that one of the owners did not disclose that he worked for a law enforcement agency. Ironically, none of the charges listed involve allegations of excess noise. The restaurant adopted a new music schedule and installed soundproof doors before the 2018 summer season. The restaurant is operated by Ken Deiner, Kim Pascarella and Paola Pascarella. Kim Pascarella, a local attorney, took a job as an assistant prosecutor with the Ocean County Prosecutor’s Office last year, making him an employee of a law enforcement agency that has the power to regulate alcoholic beverage law. The state is seeking the revoke the license because a disclosure form was not submitted to the state. Deiner told Shorebeat this week that the form was, indeed, submitted to the ABC. Several of the remaining charges allege that the restaurant’s owners or employees hindered the ABC’s investigation, a charge Deiner flatly denied. Other charges include the failure to post a fetal alcohol syndrome warning poster, failure to produce invoices within seven days, failure to disclose profit sharing and a non-allowable restaurant-to-restaurant purchase of goods. Capriccio’s owners will most likely appeal the ABC’s recommendation and request a hearing in front of an administrative law judge. Depending on the outcome, the matter could eventually wind up in the hands of superior court. “We’re hearing that a possible hearing date is coming,” said Lavallette Mayor Walter LaCicero. A related battle could ensue if the a revocation is eventually sustained by the state. Lavallette will likely seek to have the license revert back to the town instead of being sold by its owners. “The best of our research shows it would lapse back to the town,” said Borough Attorney Philip George. Deiner said the the owners do not agree with that premise, and the legal proceedings have already hurt his business. The restaurant is now closed for the season. “We had a good season, but this has cost us a lot of money,” Deiner said.